We all know the experts among us. “How did they get there?” is a question many of us ask. If we could do that we’d be set! Accolades, promotions, and the genuine ability to move ourselves and our companies forward. But how do we get there? At Illumeo we believe it's critical to continuously acquire deep functional knowledge via "full-cycle professional development". Our approach includes identifying your learning needs; accessing world-class instruction anytime, anywhere; and having a system that actively helps you build a plan and stick with it, whether you're on the journey solo, as part of a team, or as the team leader. Your journey begins with a quick and easy competency assessment that answers the questions "Where am I now?" and "Where do I need to be to move forward?" 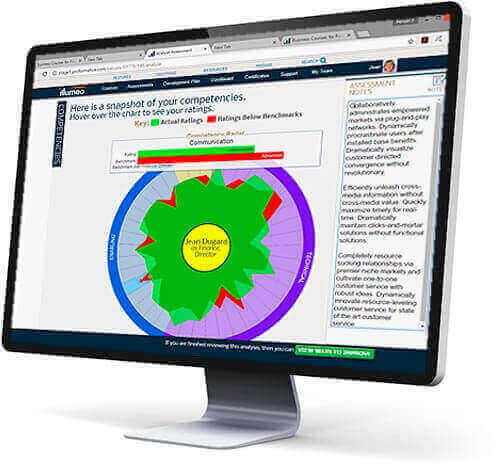 Illumeo’s Assessment framework brings an objective methodology, a simple and fast interface, functional benchmarks for over 200 job titles, and automated course recommendations that start you on your way. To acquire deep knowledge you must have deep content, delivered by genuine subject-matter-experts. Illumeo provides hundreds of courses taught by over 200 instructors who have over 25 years' industry experience on average. 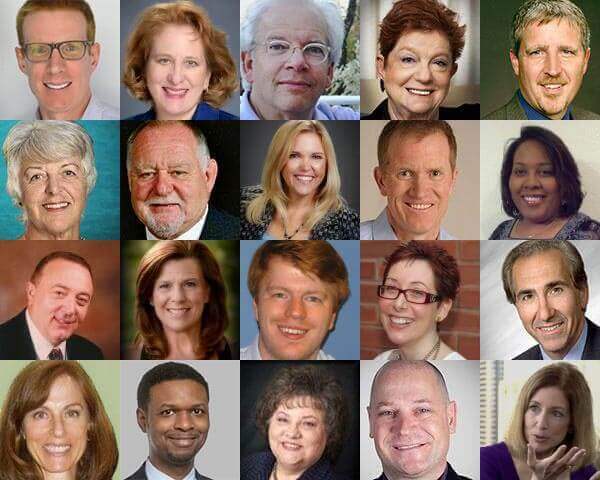 These instructors give you the benefit of their experience, insight and context in every course. I you're a corporate user you can also build your own courses to easily capture and pass along institutional knowledge to your teams and colleagues. Intuit is a leader in its space and a global company with thousands of employees and a strong learning culture. Like any company of its size and complexity, it needs skilled employees with detailed knowledge of countless processes. The challenge is finding training that has the breadth of knowledge needed to provide meaningful learning across an entire corporate function. The underlying platform needs to be cloud-based, available any time, any day, on any device, and be simple enough to use that anyone can just pick it up and learn. Plus it needs enough power that Managers and HR can direct and report on all learning. Illumeo’s Expertise Management platform provides a depth of knowledge and tools that make effective knowledge transfer quick, simple, and high ROI. Illumeo’s course library foregoes generic content, focusing instead on deep, functionally-focused learning via thousands of videos and hundreds of full courses taught by over 200 senior practitioners with an average of over 20 years’ experience each! The platform is highly intuitive for users, managers, and HR support alike, enabling all to easily find what they need, learn, and get back to work. 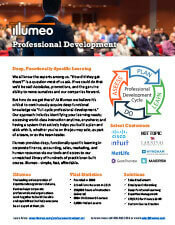 Illumeo truly fit Intuit’s learning needs. Functional training was primarily delivered live and was focused on management training for a sub-set of employees. With Illumeo, deep functional training is available to all, any time. Learn more about how Illumeo can help you, your team, or your organization experience the benefits of deep functional learning. The brochure offers an overview of Illumeo's learning process and invites you to contact us to learn more about deep functional learning for teams and organizations, as well as free trials and quick demos.